Belgian musical instrument company Stagg is well-known for its gallery of affordable electric, acoustic, and electro-acoustic guitars. Its price tags are kept on the lower end of the range for good reason. It veers away from anything flashy and impractical and focuses instead on value and quality. 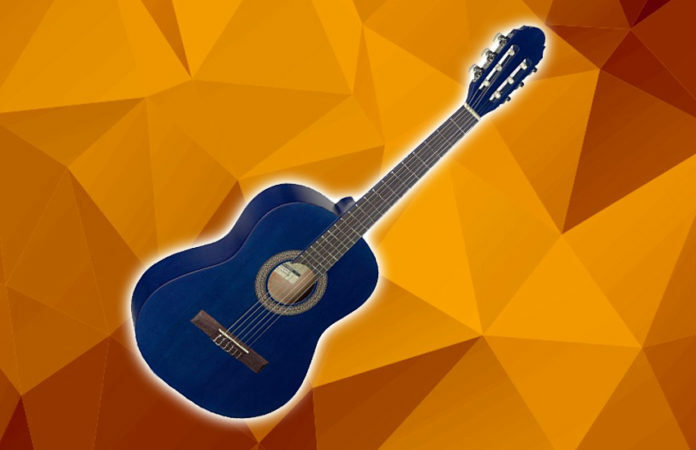 If you are looking for an entry-level classical guitar that is built based on value and quality, then take a good look at the Stagg 6 String C430 M, one of the cheapest options on the market. By cheapest, we don’t mean that it is bound to break after two months of use. The Stagg 6 String C430 M embodies what most entry-level classical guitars are not — affordable without sacrificing the quality of sound and components. Learn more about what this unassuming guitar has to offer. The Stagg 6 String C430 M has a slim body profile. The body is made of laminated linden wood top, back, and sides and is coated in a beautiful matte finish. It houses a synthetic bridge and rosewood fretboard with a set of 18 frets. On the headstock is a set of die-cast chrome tuners. The choice of tonewood, as well as the hardware, is actually nothing out of the ordinary. In this price range, nothing will surprise you, really. But the important thing is that you get the value of your money, and your instrument is serving its purpose. In terms of sound, the Stagg 6 String C430 M is pretty decent for its price range. Straight out of the box, you can immediately play the guitar and have no issues with it. Its alluring sound will impress you. The guitar has a voice with more deeper warmth and less of longer sustain. A caveat though, the guitar has a slight buzz on the high E string. But overall, the intonation is A-OK, while the action is a bit on the side, nothing to worry about. This guitar is designed for beginners aged 8 to 11, so playability is an important factor to consider. Fortunately, this guitar offers comfortable body and neck profiles for kids to take advantage of. One tip though: apply some oil on the fretboard and bridge to loosen up the guitar a little bit and lower the action a little bit. If you can replace the strings with a new set, that would be awesome. The Verdict: Should You Buy Stagg 6 String C430 M? 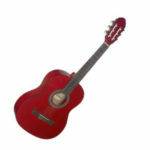 All in all, the Stagg 6 String C430 M is a great beginner guitar for the kids. If you are looking for an affordable nylon-string guitar that will grow on your kid, then this is the right candidate to consider. For under $150, you get a decent build, decent sound, and super easy playability. What more can you ask for, eh?